CRAZY DISCOUNT! 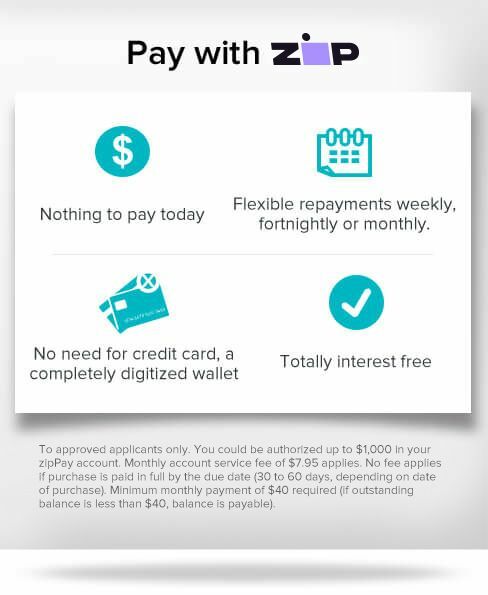 Was: $299.95 Now: $119.97! 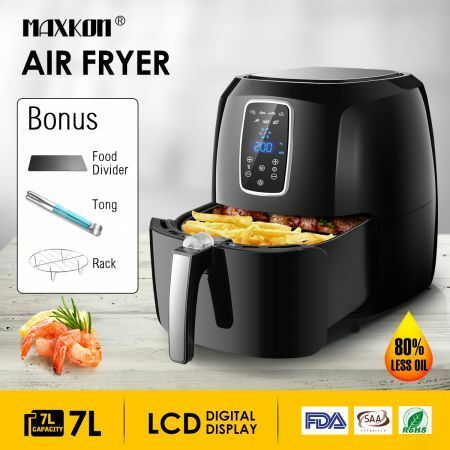 Featuring Rapid Air technology, this Maxkon Oil-less Air Fryer Cooker Oven 5.5L with 0-60 Minute Timer Black lets you cook food using little to no oil, reducing frying oil usage by as much as 80%. This innovative technology also reduces smell when frying, compared to conventional fryers. 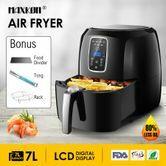 With this air fryer, you can cook and go, thanks to its pre-set cooking timer of up to 60 minutes and auto-off, auto-resume function, and adjustable temperature control from 80-200 degrees Celsius delivering excellent frying results. It has a large 7L drawer with a 5.5L fry basket as well as a "Ready Bell" to indicate the finish of cooking. The non-stick coating pan makes cleaning job a piece of cake. Overheating protection takes care of your safety. Buy now and enjoy great tasting fries with up to 80% less fat! Make your own best air fryer recipes.